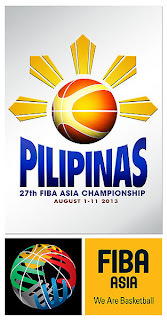 August 9, Friday, is the Quarterfinals Round of FIBA Asia Championships 2013. You can watch the live game of Gilas Pilipinas against Kazakhstan at 8:30 pm. at Sport TV5 and in SM Mall of Asia Arena, Manila. For more updates on the quarterfinals game between Gilas Pilipinas and Kazakhstan, will be posted here upon availability. Comments or suggestions about "FIBA Asia 2013 Games Schedule for Quarterfinals Round" is important to us, you may share it by using the comment box below.